It’s been a while since I listed. I think. So, I thought I would list a few ideas to make your upcoming NaNoWriMo experience an enjoyable one. NaNoWriMo itself is an exercise is productivity. I’ll leave that motivation crap to the experts. I haven’t had a motivating day in my life. 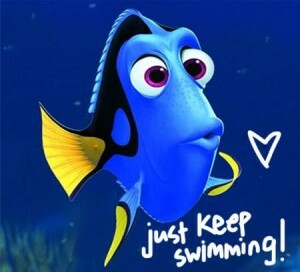 I’m of the JUST KEEP SWIMMING variety, myself. Before the list, the explanation for the newly initiated. If, indeed, there are any of you left out there in the big wide open. I will take the very succinct ABOUT info from the NaNoWriMo site and direct you there for any further explanations and investigations about/of the yearly November event. Before my first NaNo I always tried to write here and there. That doesn’t work for me. 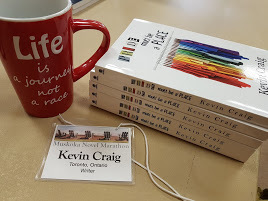 In fact, NaNo is even a stretch now, since I’ve been doing the novel-in-72hrs Muskoka Novel Marathon (MNM). But I still do the NaNo. It gave me one of my favourite stories and it showed me that there are many ways to write a novel. I need a frenetic pace…NaNo taught me that. MNM cemented that. I just cannot do the novel in a year…or two years…or three. Oh, a list! Right. Almost forgot. Do not make the 50,000 words a threat. We writers beat ourselves up over so many things. Let’s not take a fun productive endeavour and make it our enemy. The whole concept of NaNoWriMo is to get BIC (Bum in Chair). We aim for a fruitful November, filled with the joy of writing and creating and exploring our imaginations. Pure and simple. Don’t hold the loaded gun to your head and scream at yourself when you don’t meet a daily/weekly word-count goal. Just sit. Just write. Or dance when the words aren’t coming. Don’t pull the trigger. The favour you are doing yourself is participating in an exercise in productivity. The take-home should be a thoughtful introspection of your own process and perhaps a new regime of daily writing time. Not anxiety, self-hate, and mutilation. Enjoy this month of creativity. See #1. It deserves the top two places on this list. Find out where/how/when you write best. Ask yourself who you write for. Ask yourself why you write. This month of dedicated writing time should not be wasted on the mere task of writing. With myself, I felt that it helped to shape my future writing ‘career’. It was during my first NaNo that I discovered my magic hour. I wrote in the tiny hours of pre-6am for years after my 2003 NaNo year. During my NaNo, I set myself the task of finding a daily time to write…to stay on task and meet my 50K word goal. I had no time, so I made time. Much like the Netherlands found land where once there was none. That 5am hour is GOLDEN for a full-time person attempting to write on the side. And I found my creativity surged in that hour as well. While you’re finding the time, look for the place too. Hop from one place to another in your living quarters, in your neighbourhood, in your country. Find the nook(s) that most suit your writing requirements. Do you like silence or mayhem? Are you a coffee shop writer? Or a subway writer? Or a library writer? Or a kitchen table writer? You have a month…go forth and discover your prime writing land. How? Any damn way you please, actually. NaNoWriMo can be done in a sketchbook, on cafe napkins, in a laptop, on a tablet. It can be done with a pen, a pencil, a stylus, a crayon, or a keyboard. Discover your how this November. Whatever works for you. 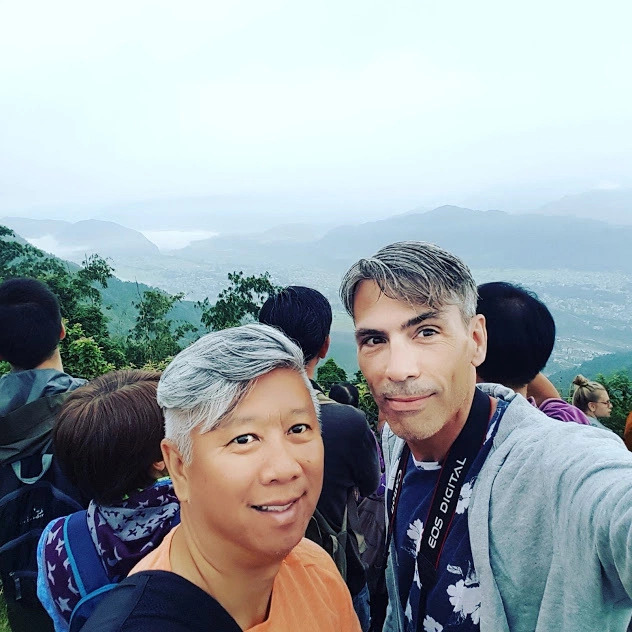 Permissions—that’s what NaNo is about for me. While you’re dealing with the other questions, it’s also fun to ask the WHO YOU WRITE FOR and WHY YOU WRITE questions. Just for, you know, fun. These questions are all about finding yourself as a writer. What better month to do that than during the month that celebrates writing? Remember that the end-goal is about writing. It’s about taking the thought, ‘I’d like to try to write a novel’, and making it a reality. Sure…there’s an end-goal of 50,000 words during the month of November. Yep. It’s there. But the real goal is to get yourself writing…to form a habit. Let me break down the monolithic word-count goal for a second. 50,000 words. Sounds like a lot, right? Wrong. That’s 1,666.666666 words a day. I always think to myself, ‘if I can write one page a day, that’s a novel a year’. If you break down the seemingly impossible it becomes not only probable but possible. And then it becomes doable. But still…keep your eyes off the word count goal and on the BIC goal. Just sit. Just write. Community. 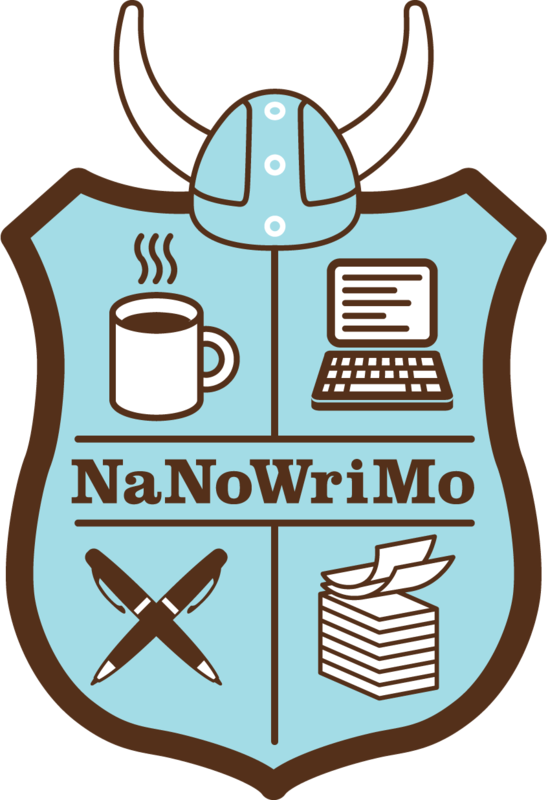 Get yourself over to the NaNoWriMo website and register. There’s an active FORUMS section where others the world over are trying to do the same thing as you. I discovered long ago that writing is as much a community thing as it is a lone venture. My days with the WCDR have taught me the value of community when you’re a writer. Don’t underestimate it. Join the forums, join in on the discussions…you don’t have to do this alone. Writers support writers. Have fun. Have fun. Have fun. Put the gun down. Don’t pressure yourself. Get into a healthy habit of writing every day. Use November as your jumping off point to the rest of your writing life. You’re writing because you like to create. No matter how professional you come in this endeavor, never make it a job…never make it a horrible chain around your neck. Despair is not needed to be a productive enthusiastic creator of worlds through words. Just be yourself and remember why you write. And BIC!!!!!!!!!!!!!!!!!!!!!!!!!!!! Chillax and have fun. Don’t lose your head or get your shirt in a knot. Sit. Write. Repeat. 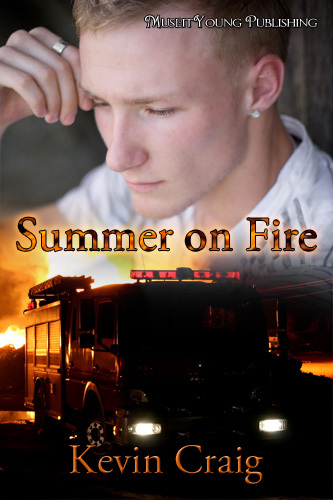 MY AUTHOR PAGE AT AMAZON! A couple of years ago, in my usual exuberance for writing about writing instead of actually writing (which, when you think about it IS actually writing. #Winning), I wrote THIS POST on who I write for. I suspect I may have been high on the fumes of a certain passing bus. But no. One doesn’t need to be high to be passionate. The act of writing is a glorious thing. Strip away the talking about writing, the worrying about writing, the worrying about not writing, the spoils of after-writing, the defeat of discarded writing, the hostility of dead-end and painting-yourself-into-a-corner writing, and, all the other writing minefields and rewards and traps…and you have this wonderful thing. You have WRITING. Just sitting and writing. In that moment when you are fully immersed in words, when you are no longer a person writing but something akin to the WILD MIND that Natalie Goldberg spoke of so passionately in her writing related memoir, a writer finds her bliss. He finds his Namaste with himself. So why oh why oh why do we do it? For that moment when we get utterly lost. When the clouds are not above our heads but in our minds. When the internal weather forecast is CLOUDY WITH A CHANCE OF IMAGINATION. What I didn’t quite get to is that we get to toss decorum out the window only when we are dedicated enough to do so. Writing is a practice much like meditation is a practice. You will never reach Nirvana if you don’t take it seriously. Conversely, you will never reach Nirvana if you take it seriously. There is a middle ground. It’s when you stop trying to focus on the prize that it comes to you. But there are others I write for. Stephen King writes for his Constant Reader. Now, I can take a million trillion lessons from King. I think he’s one of the most exemplary character builders alive on the planet today. His people live and breathe…even the bit-part folk who step onto the stage momentarily to move the story along. But the one thing that always stood out for me about King was his conscientious remembering that he is holding the hand of the reader who opted to come along for the journey he’s created. King never forgets that he is not alone in his story. I always picture him sitting in his office, facing his glowing screen, and vividly imagining the hundreds of thousands of people crammed in behind him looking over his shoulder. He IS Nirvana while he writes. He seems to have the ability to simultaneously write for that imagined CONSTANT READER and write for NO ONE at the same time. That’s the space between TAKING IT SERIOUSLY and NOT TAKING IS SERIOUSLY. That’s him NOT focusing and attaining the prize. You can’t listen to the reader as you write, because the reader is not yet there. It’s hard to hold the hand of a person who is not yet beside you. But King does it. My god, does King ever do it. Yes. I write for Mr. Kite. He tells me to have fun, to let go and escape into a story with utter abandon. And Lucy? Well, she is like Mr. Kite. I put a lot of importance into being silly in my writing, into free-falling from a precipice and just seeing where the day takes me. Lucy and Mr. Kite help me to walk the forest of tangerine trees. I need them. Without them, I’d be too serious…I’d be trying to force Nirvana. Yes. I write for little Charlie Bucket. Again…because Charlie had nothing and dreamed of wanting more. Charlie is something I give to every character I create. Hopeless characters don’t find golden tickets because they don’t find the coin. Little Charlie fulfills the magic kernel of desire that every character must have. Without it, what is the point. And NOW? Well, I have my own little Charlie Bucket now…so I write even harder for Charlie these days. Last June (2014), my daughter named her second son CHARLIE. Mr. Dahl would be so proud. By God, YES. I write for the Fat Lady. I will never ever stop writing for the Fat Lady. Let’s reiterate my love for Zachary Martin Glass, shall we? Zooey is like me in many ways. In his love for the world around him, that is. And if writing for the Fat Lady is good enough for Zooey, it’s good enough for me. To copy more from my previous WHO DO YOU WRITE FOR post, here is another FRANNY & ZOOEY excerpt. This one hits the nail on the head as to why we should do everything we do for the Fat Lady. We should write for the Fat Lady because we should always always always WRITE OUR BEST WORK. We shouldn’t care if anyone ever sees it. We should write our best work whether it is to end up in the bottom of an old sock drawer or on the New York Times Bestseller List. Where it’s going after it is written is completely and irreversibly irrelevant while you’re writing it. Write for the Fat Lady and you will shine like the shiniest of shoes. And now, back to King. And the reason for my addition to my WHO DO I WRITE FOR list. I write for YOU. You make me want to be better. You make me want to hold your hand and take you on a journey. You make me want to change the world. I write for ME. Because there was a time when I thought I wasn’t supposed to be here. Now I feel compelled to bear witness. Life is beautiful. Even in the throes of heartache and pain, life is beautiful. Sometimes we need to be reminded of that fact. I write for me to write of pain and to write of healing. The struggle is the life’s blood of creativity. What would life be without the exploration of both pain and joy? I like this bumpy and tumultuous ride. I aim to write my way through it and to write my way out of it. Always explore and reevaluate the reasons you do what you do. I write for so many reasons. Mr. Kite is both the most important and the least. He tells me to be ridiculous. 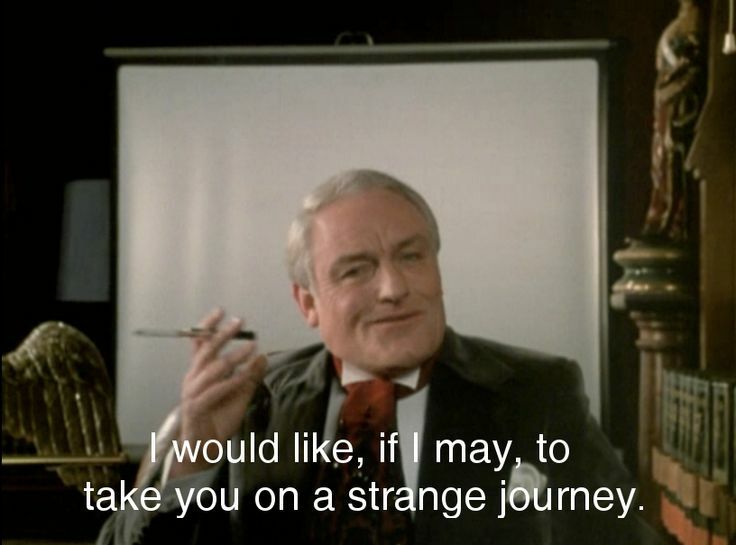 And you, dear reader…you tell me to be deathly serious. That’s a good mix. 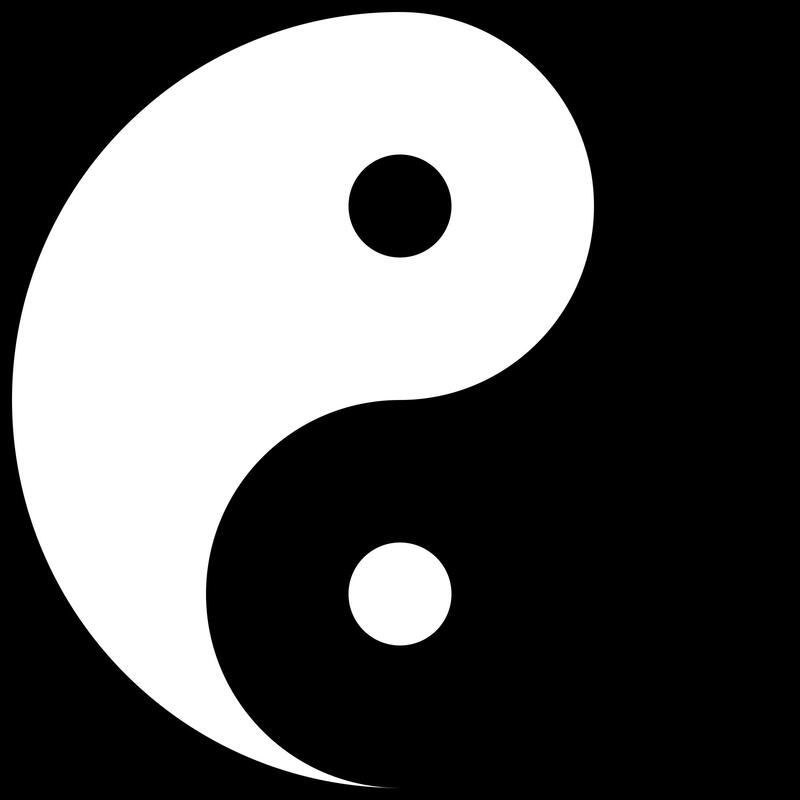 Just as with life, and everything else, writing is a healthy dose of yin and yang. Be like King. Write for yourself while you’re writing for your Constant Reader. Don’t cater to either. Don’t focus on either. Allow your vision to blur in that magical middle place where they are the same person. If you’re a writer, you know what I’m talking about. That time when you are finished your novel, and you polished it as much as you can. And your agent has read it and given you feedback. And you clean up any suggested changes and send it back to your agent. And your agent declares it ready to meet the world. And then, freeze. Strike a pose. AND….W-A-I-T.
And when you’re finished waiting, wait some more. It’s like sending your baby to a private school with a registration screening committee. A committee that gets to decide if your baby is pretty enough to attend. It’s difficult being creative. It really is. But it’s also a thrill like nothing else. I wouldn’t have it any other way. But I know the motivation behind Sally Fields’s 1985 Oscar acceptance speech. ALL creative types understand her motivation. When she said, “I can’t deny the fact that you like me, right now, you like me!” she was calming the insecurity beast that a great lion’s share of the creative community deals with. We need some kind of confirmation that we’re doing something right. Not everyone needs an Oscar, or its literary equivalent. All I need to keep me going is a few kind words. I’d trade the Pulitzer Prize to hear one reader say I made them cry. That there is pure gold. I just want my words to touch someone…to make an infinitesimal difference…to cause someone to have an aha moment…or to sigh. That’s all. When Sally made that now famous acceptance speech, she wasn’t being the least bit boisterous or proud or cocky or vain. Though the lines in that speech are often misremembered and quite a few people have her saying, “You like me. You really like me!” what she actually said makes all the difference in the world. What kind of artist would she be to take the LIKE to mean forever…to mean You’re done. That’s it, take a bow. Take a seat. You can stop now. That RIGHT NOW part of her acceptance speech is the most important part. It means she can be momentarily satisfied with the results of her labours, boys and girls. But it also means she cannot rest on her laurels. FURTHER EFFORT MUST BE MADE! She got off that stage and she redoubled her efforts. When one is rewarded for their artistic endeavors, one must soldier on…move on to the next project…and the next project…and the next. Don’t ever sit idle while you’re waiting for the world to catch up with your latest offering, my pretties. Waiting is time. Time is a commodity used to further explore creativity. If you do your waiting in creative quiet, you will surely fail. As it turns out, the waiting is nowhere near the hardest part. The hardest part is having the courage and the drive and the passion not to wait. The writer-artist-actor-musician-performer is not meant to be idle. Keep going. The world waits for no person.